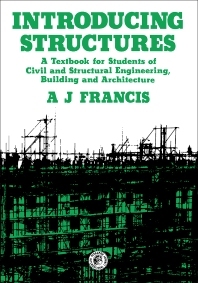 Introducing Structures: A Textbook for Students of Civil and Structural Engineering, Building, and Architecture focuses on the processes of designing structures for particular functions, taking into consideration the structural integrity of such structures. The textbook first offers information on structural materials and structural action of cables and arches, including statically determinate and indeterminate structures, cable or chain structures, and arches. The book then takes a look at the structural integrity of trusses and beams and other topics, such as collapse; flow of stress; flexural instability; prestressing; and plates, shells, and cable structures. The publication examines the structural composition of multi-story buildings, including foundations and general observations on structural action. The book then takes a look at structural design and structural failures and their lessons. Firmness, loads, strength, and task of designers are underscored. The textbook is a fine reference for civil and structural engineering and architecture students.